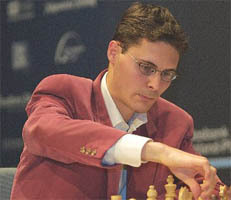 There was an 8 game rapid match between Peter Leko and Magnus Carlsen 28th May – 1st June 2008 in Miskolc, Hungary. 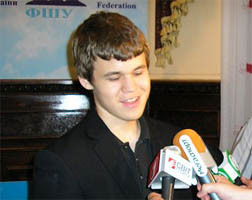 Magnus Carlsen won the match 5-3. The lesson is called “Pirc Defence, 1.e4 d6” has been prepared for you by GM Alexander Kalinin. This lesson is the small part of Opening Instructor program. There will be new lectures about actual chess topics in this section. There are two lessons at once in our first issue today. – The first lesson is called “Advantage in Development” has been prepared for you by GM Alexander Kalinin. This lesson is the small part of Chess Strategy program. – The second lesson prepared by ICCF grand master Mikhail Kalinichenko is called “Kings gambit”. It’s a short fragment of Opening Instructor program. There will be all games from the biggest tournaments broadcasted online since June, 2008. Also for the most interesting game of the day there will be available live comments by ICCF IM Mikhail Emelianov. The International chess tournament ‘AEROSVIT-2008’ takes place 7-20.06.2008 in Foros (Crimea, Ukraine). There are 12 grand masters from seven countries in the round robin tournament. The mean rating of participants equals to 2711. The time control is 40 moves in 90 minutes and 30 minutes for the remaining moves with an increment of 30 seconds per move. We have heard from the developers of both Rybka 3 (see last month’s column) and Rybka Aquarium, the new Rybka user interface (see the April column). Now it’s time to get a sneak preview of what Aquarium is capable of. We’ll only examine one of it’s many interesting features, but it’s a feature that will be of great help for the serious chess player. The Armenian Chess Federation is organizing a “Chess Giants Yerevan 2008” Rapid Round-Robin Tournament with the participation of world’s eight top Grandmasters from June 8 to 15, 2008. The prize fund of the event is 262.000 US$. There was a rapid chess tournament, the “XXI Magistral Ciudad de Leon” in Leon, Spain. At first finalists were determined by four participants in four-game matches with 20 min. + 10 sec. per move time control…. Also there was a tiebreaker consisting of blitz games in the case of a draw.The tense struggle was guaranteed by the strong line-up. There was Anand (India, 2803) the reigning World champion, sevenfold winner of the tournament, Ivanchuk (Ukraine, 2740), Shirov, double-ply winner of the tournament (Spain,2740) and Vallejo Pons (Spain, 2684) amongst the participants of the tournament. 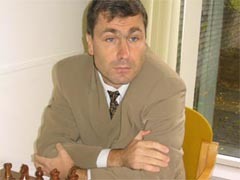 Ivanchuk confidently beat Shirov 3-1 and Anand won against Vallejo Pons only on tiebreaker 3,2 – 2,5. The final match between Anand – Ivanchuk was the high point of the tournament. The first two games was a win each and the third game was a draw. In the decisive game Anand made an exchange sacrifice and was forced to surrender two moves after the accurate reply made by Ivanchuk.